In alignment with our church, the chief mission of the Anointed Vessels Liturgical Dance Ministry is to Glorify God, Who has given us the highest revelation of Himself in the person of Jesus Christ. In glorifying God in our ministry of dance, we enter into worship, seeking to give fitting expression to the profound and dedicated commitment of our Lord Jesus Christ. 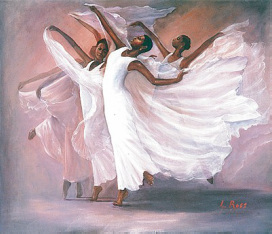 The ministry of dance is a form of expression to minister the Gospel of Jesus Christ. It is in this expression that people are saved, healed, delivered and set free.